Last last year, I asked my cousin if I could bring his son, my nephew, to visit The Mind Museum. I love kids, I remember when my older cousin would bring us to places like this, thus, I wanted them to experience it as well. When we plan for travel a trip for a foreign destination, we always have the thing for the hotels. Sometime we tend to book hotels once we are there, but trust me it’s not an options to be taken. But then again booking hotels without seeing is also a challenge. What if they show something in picture and end up having a different room? I have myself faced it a lot of time, and they don’t even tend to change the rooms after asking for it. So what happen next is your travel is ruined for a single reason. Trust is what we gain! Moreover, there is always a chance that you end up paying extra amount even though you have already paid it online. To travel abroad we save from our entire hard money for a single trip with family, and we obviously don’t want to end up to things like this. I am a travel freak and every time when I travel I make sure that everything is in place from hotel booking to destination and all. One wrong experience has given me a big lesson. I have almost travelled Singapore more than five times, and every time I choose a new place to stay. With Agoda you not only choose the best of the hotels but even they provide you the exact what it is shown in the picture. Carlton Hotel Singapore - I have stayed here for a night as I had a connecting flight the next morning. This hotel have a connecting train from the airport and best in its attraction. They have a different set of rooms from Premier to Premier club executive rooms, all rooms have a Wi-Fi connection. This hotel gives you an amazing services from babysitting to airport drops. Just right opposite to the hotel they have an amazing restaurants if you want to go for a quick bite. Marina Bay Sand - On my last visit I booked this hotel fromAgoda, first I was scared if they have all the facilities that are shown. But to my surprise it was exact to what I booked for. They have an amazing staff who is always there for help 24*7. The views from the rooms is amazingly beautiful. They have different types of rooms from Premier room, deluxe city view and Premier city view and so on. Royal Plaza on Scotts Hotel - This is my second stay in the hotel, as I just can’t get over with their services. They have an amazing spacious room and very clean. They have rooms like deluxe, superior, club and suite. And, one more thing that I forget to mention is that you can even avail discounts for the same hotel. Even if you are planning to spend a night in the hotel, you can avail discount on your next visit with working Agoda discount and promo codes. When I was searching for some discounts came across a site Voucher codes Singapore, where you can find amazing discounts on hotels with just a click. On my last visit to Singapore, I received a mail of 50% discounts on Singapore hotels. First, I thought it might be a spam but when checked it, I was so happy to see it. This was certainly a gift from god. I received this discounts just the day I was booking a hotel. In voucher codes Singapore you don’t have to pay anything you just have to click in the desire deal and they will automatically take you to the discounted site. Isn’t this is amazing? Tell me something, did you ever have a discounts on any hotel booking. No? So you can count on me in this, that Voucher Codes indeed a safe and an amazing place for discounted codes and coupons. What are you waiting for? Go and check it! 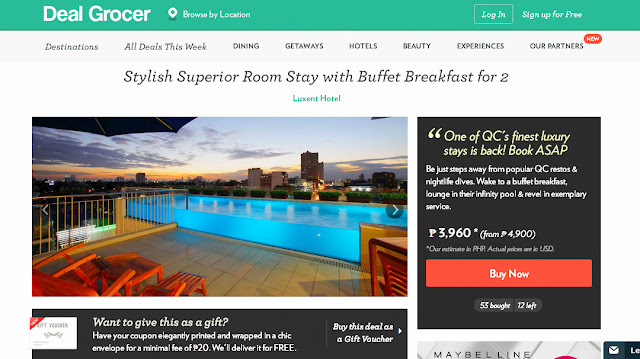 When you love to dine or experience hotel staycation, one good tip on getting a great deal at bookings is to check websites like Deal Grocer. I was happy with my stay so I'm sharing to you how to get a great deal such as this. With so many affordable flights to Thailand, there’s never been a better reason to visit this Southeast Asian paradise. Famed for its world-class beaches and spectacular islands, this is the perfect destination for a laidback holiday in the sun. For those visiting for the first time, we’ve put together this handy guide on some of the best things to see and do. No trip to Thailand’s southern islands would be complete without visiting Maya Bay, a secluded cove made famous by the Leonardo DiCaprio blockbuster, The Beach. Set amongst a lush backdrop of dramatic limestone cliffs, white sands meet turquoise waters for a picture postcard setting. Located on the small island of Phi Phi Ley, many tour operators provide daily excursions visiting the bay that include a stop for snorkeling. Known as the pearl of the Andaman, Phuket has long been regarded as one of Thailand’s major tourist hot spots. Many visitors flock to the sin city of Patong which offers a thumping mix of nightclubs and beachside bars. Partygoers should head to Bangala Road which offers all-night fun, every day of the week. For a more refined experience, visit Phuket’s old town which is home to Buddhist temples alongside art deco inspired shop fronts and quaint cafés. It is best explored in the early morning to beat the crowds and midday heat. With an endless choice of world-class diving spots, Thailand is great for an underwater adventure. Travel to the island of Koh Tao on the east coast and you’ll find plenty of dive schools offering certified tuition and accreditation. Alternatively, the dazzling reefs of Krabi on the west coast offers something for the experienced diver. Here you can explore underwater tunnels, caverns and even shipwrecks. This all night beach party has gained legendary status with thousands travelling to the island of Ko Pha Ngan to rave into the early hours. Bars and clubs line the beach with something to suit all tastes from thumping techno to dance and reggae. There’s also an exciting mix of performers from fire eaters to jugglers which keep the crowds entertained until sunrise. The island also hosts ‘Half Moon’ and ‘Quarter Moon’ events, which means the party never has to end. For a once a lifetime experience, visit one of the many elephant camps which are located throughout Thailand. Always choose a camp which follows international safety standards or those which focus on animal welfare. Local guides can provide information on the animals and you can even help on a range of conservation duties. Take in some of these sights and attractions on your first holiday to Thailand and you won’t be disappointed. Images by Thomas Sauzedde - idirectori used under Creative Commons License. Here's what we did on our El Nido island hopping Tour C.
The next day, we were very much excited with our island hopping trip. 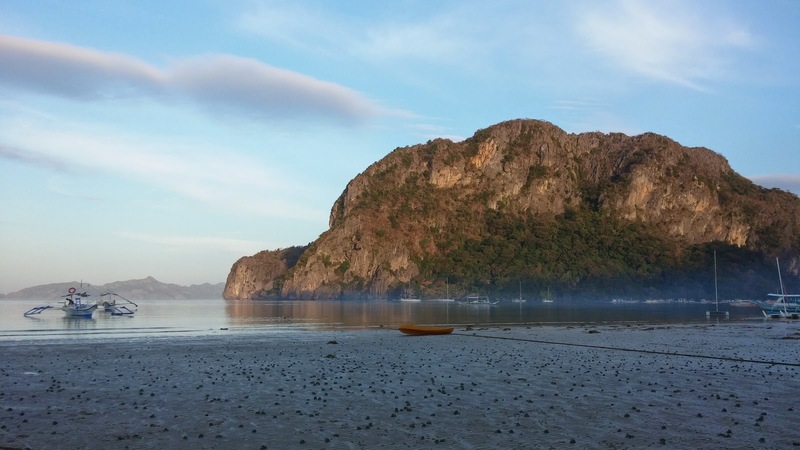 Well, being first timers, we opt to choose the famous and default Tour A and Tour C because we only have limited time that we wouldn't be able to avail all of the island hopping tours in El Nido. Corong Corong in the morning. Image by Anthony Quintano used under the Creative Commons license. Orlando is one of the United States’ most popular holiday destinations as it features an eclectic mix of fun that caters to all ages. Whether you’re after a relaxing time at the pool and spa, want to hit some the country’s best golf courses, or are looking to explore a variety of the world’s best theme parks, the city of Orlando in Florida is a destination that you won’t want to miss. Here are just five of the top attractions it has to offer. 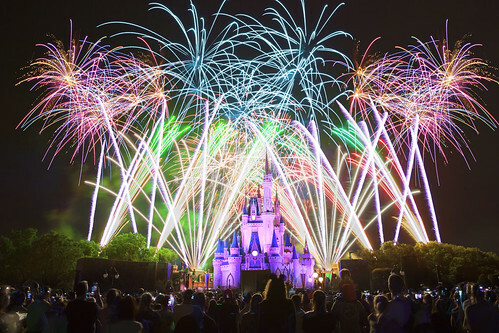 Walt Disney World Resort provides visitors with the ultimate all inclusive vacation offers, and is the perfect destination for any family looking to get away. With PGA tour quality golf courses, a huge mix of theme parks, ranging from the Magic Kingdom to Animal Kingdom, as well as some of the region’s best hotels, it’s no wonder this spot is the flagship of Disney’s worldwide empire. For anyone with kids, or anyone who is a fan of Harry Potter in general, the Wizarding World of Harry Potter will let you stroll through all of your favourite Potter sites, from the shops of Diagon Alley to the halls of Hogwarts, making it certainly the most magical of Orlando’s many attractions. On a hot Florida day there are few better places to escape the heat than the Wet ‘n Wild Orlando water park, which features a mix of signature thrill rides and pools for cooling down and relaxing. The park also allows you to customize your experience, by reserving a cabana for your own exclusive summer BBQ feast. Travel back in time by visiting the Old Town Them park, which is home to a mix of family fun options, including go-karts, bumper cars, an arcade, and a variety of great eating options. Be sure to pay a visit to the Haunted House and the Great Magical Hall, two of the parks most iconic attractions. The Orlando Science Center is a private museum dedicated to experience-based learning, and provides its visitors with the opportunities to test and try a number of scientific experiences, from the Weather Center and Space Base, to Dr. Dare’s Lab and the Electron Microscope. A visit to the O.S.C. is the pinnacle in educational fun. Whatever you reason for wanting to get away, there are few places that will provide you with more options for fun and excitement than the city of Orlando, so what are you waiting for? Two years ago, I made a post about the picturesque Sagada. But this year, me and my college friends went to Sagada. It's my fourth visit so I think it's best to share our itinerary and expenses during the trip. There are also available adventures in this post. Hope to be of help! The Tuscan City of Pisa is a bucket list destination for many travelers. Plenty of tourists flock here each year for that perfect picture in front of the iconic, leaning tower. For many, it’s just a brief stop in a European tour before moving on to another beautiful region. It’s a shame because this historical city has plenty more to offer than its famed, architectural blunder. Once you've marveled at the leaning tower, your next stop should be the Baptistery of St John which is also located in Cathedral Square. Dating back to the 12th century, this masterpiece is the largest Baptistery in Italy – the creation of famed architect, Diotisalvi. You’ll be impressed by the incredible attention to detail, especially the religious sculptures on the outer façade. Once inside, be sure to check out the stunning acoustics. If you’re lucky, one of the guards may sing to demonstrate the beautiful sound effect. Art fanatics cannot visit this city without heading to this former 12th-century convent. Now the Museum of Duomo Artwork, it’s home to many of the pieces that were once inside the Duomo Cathedral. First opened in 1986, you can enjoy masterpieces from Nicola and Giovanni Pisano, not to mention historic artifacts and statues from the buildings in the Campo Dei Miracoli. The perfect stop for an afternoon stroll. These were the first botanical gardens in Europe, created by the Grand Duke of Tuscany, Cosimo l de Medici. Although, it has been relocated twice over the years, now you’ll find it at Via Luca Ghini 5 – it’s not too far from the leaning tower. It’s free to enter and you’ll be able to explore, unique plants, fountains, and a botanical museum. During the 16th Century, this Piazza - translated to Knights Square - was once the political hub of Pisa. Many of these buildings were given over to the Nights of the Order of Saint Stephen. It now draws plenty of tourists for its historic charm. Fans of Dante’s Inferno will also enjoy visiting the Torre della Muda, a former tower which featured in The Divine Comedy. Borgo Stretto is a street famed for its Italian boutique’s and the perfect stop for any shopaholic. You’re best starting your shopping splurge at the Piazza Garibaldi and be sure to visit Caffe Settimelli – the building where Galileo was born. For tasty delicacies, head to Piazza delle Vettovaglie and you’ll find local cheese, exceptional wine, and cured meats. There’s so much to see in this vibrant city, we've barely scratched the surface. If you’re planning on booking those Pisa flights, be sure to give yourself plenty of time to visit all the great attractions.